While some house or garden rubbish clearance and garden rubbish collection services may cost the earth, we at JN Skips believe you should always be able to hire a garden waste bin on an affordable and reliable basis – at the best prices for your budget – whether you are in need of rubbish or garden waste removal at short notice. 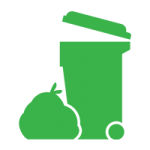 Our garden waste bin and management services will make sure that we not only run a disposal service for you that is efficient, low cost and friendly, but that we also remove any waste for you responsibly. 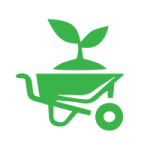 We are focused on recycling as much as possible, and when it comes to garden waste clearance, we always have our green environmental hats on. A cheap, local skip hire service shouldn’t skimp on quality care nor should it avoid being environmentally friendly – hire a garden bin or garden waste skip from us and you’ll be able to turn around a top garden refit project in a matter of days. Alternatively, we can even offer same day junk and trash and garden waste disposal services – call us on 0208 603 7363 / 0208 150 0045 07928 018 556 or book a skip online today and we’ll be over to you as soon as possible. Looking for the best ‘near me’ company offering clearance and collection?  Look no further – hiring our removal vehicles will save you a trip to the dump or garden waste collection site! Whether you are based in London, Croydon, Surrey or beyond in the South East or South West, we have domestic and commercial garden waste disposal services set up and raring to go for needs of any size or complexity. 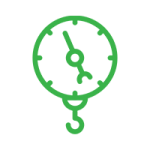 This means that you can hire us the same day you need us – and we won’t ever stretch your budget to the extreme. Garden waste collection shouldn’t be complex to arrange, nor should it be expensive. If you’re looking for garden waste clearance or garden waste disposal ‘near me’, turn on location services and come and give our top team a call. We’ll remove all garden waste for you – whether you’re digging up a garden or are mowing a significant area of land, our garden rubbish collection service is just one of the brilliant specialisms we’ve been offering for several years. Our top team are the best at what they do – friendly, supportive and with a rubbish skip and garden bin services raring to go wherever our customers need them. 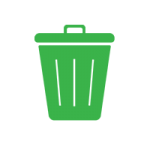 Hire a skip or rent a skip with us and we’ll deliver a large garden waste bin which can be collected whenever is best for you – we’ll offer you a solid, reliable quote and even if you hire a skip for a day, we’re sure you’ll feel the difference. After all – we’re saving you a trip to the dump! Cheap skip hire, whether local or national, shouldn’t ever skimp on quality. We’re specialized in refuse collection, clearance and disposal on a grand scale – and the same goes for garden rubbish removals. If you’re overseeing a garden renovation and need to rent a skip at short notice, call JN Skips today on 0208 603 7363 / 0208 150 0045 07928 018 556 or book a skip online! 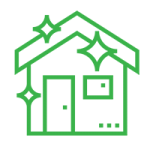 Hiring a dependable waste removal company doesn’t get much simpler – let us show you what we can do for you and your garden – domestic or commercial!